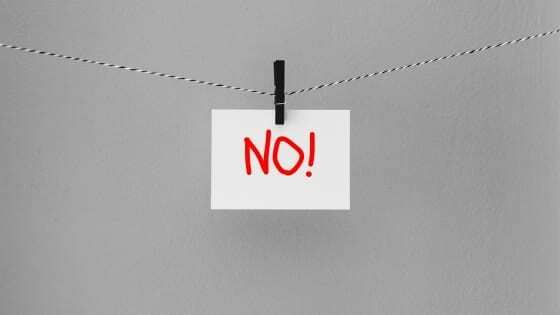 One of the hardest things to do in life is to say “No.” To invitations, to requests, to obligations, to the stuff that everyone else is doing. All of us regularly say yes unthinkingly, or out of vague attraction, or out of greed or vanity, or out of fear of disappointing a friend or acquaintance. Because we can’t say no—because we might miss out on something if we did. We think “yes” will let us accomplish more, will give us more of what we want, when in reality it prevents exactly what we seek. All of us waste precious life doing things we don’t like, to prove ourselves to people we don’t respect, and to get things we don’t want. Property can be regained, money can be re-earned. Time? Time is our most irreplaceable asset—we cannot buy more of it. We cannot get a second of it back. We can only hope to waste as little as possible. Yet somehow we treat it as the most renewable of all resources. You have two essential tasks in life: to be a good person and to pursue the occupation that you love. Everything else is a waste of energy and a squandering of your potential. How does one do that? OK, that’s a tougher question. But the philosophy we see from the Stoics makes it simple enough: say no to distractions, to destructive emotions, to outside pressure. Ask yourself: What is it that only I can do? What is the best use of my limited time on this planet? Try to do the right thing when the situation calls for it. Treat other people the way you would hope to be treated. And understand that every small choice and tiny matter is an opportunity to practice these larger principles. That’s it. That’s what goes into the most important skill of all: how to live. Law 29 of The 48 Laws of Power is: Plan All The Way To The End. Robert Greene writes, “By planning to the end you will not be overwhelmed by circumstances and you will know when to stop. Gently guide fortune and help determine the future by thinking far ahead.” The second habit in The 7 Habits of Highly Effective People is: begin with an end in mind. Having an end in mind is no guarantee that you’ll reach it—no Stoic would pretend otherwise—but not having an end in mind is a guarantee you won’t. To the Stoics, oiêsis(false conceptions) are responsible not just for disturbances in the soul but for chaotic and dysfunctional lives and operations. When your efforts are not directed at a cause or a purpose, how will you know what to do day in and day out? How will you know what to say no to and what to say yes to? How will you know when you’ve had enough, when you’ve reached your goal, when you’ve gotten off track, if you’ve never defined what those things are? The answer is that you cannot. And so you are driven into madness by the oblivion of directionlessness. Only you know the race you’re running. Each one of us has a unique potential and purpose; that means we’re the only ones who can evaluate and set the terms of our lives. Far too often, we look at other people and make their approval the standard we feel compelled to meet. In other words, it’s not about beating the other guy. It’s not about having more than the others. It’s about being what you are and being as good as possible at it without succumbing to all the things that draw you away from it. It’s about going where you set out to go. About accomplishing the most you’re capable of in what you choose. That’s it. No more and no less. It’s time to sit down and think about what’s truly important to you and then take steps to forsake the rest. Maybe your priority is money. Or maybe it’s family. Or influence. Or change. Maybe it’s building an organization that lasts or serves a purpose. All of these are perfectly fine motivations. But you do need to know. You need to know what you don’t want and what your choices preclude because strategies are often mutually exclusive. Life requires tradeoffs. So why do you do what you do? That’s the question you need to answer. Stare at it until you can. Only then will you understand what matters and what doesn’t. Only then can you say no.